I am at present reading Justinian’s Letter to the Monks of Alexandria Against the Monophysites. As I read, many questions arise: Did Justinian himself write this? When did he have time? Did he ever sleep? If he didn’t, who did? How was this text received? How would Leo the Great have felt about this text? What about Cyril of Alexandria? Leo the Great (d. 461) would probably have been fine with this work. I am not sure Cyril (d. 444) would have been, however. This is an interesting reality of our theological tradition. Many people, even within the church, have an idea that theological orthodoxy is monolithic. It is not. Leo the Great did what he could with what of Cyril he had in Latin — not all of Cyril, and Latin is not Greek. So Leo’s Christology is not the same as Cyril’s. For example, I do not think Leo’s Tome and Cyril’s On the Unity of Christ are actually perfectly compatible. Yet Leo’s Tome was acclaimed and accepted at the Council of Chalcedon (that he helped engineer) in 451 on the grounds that it said what Cyril says. Which, if we consider the Cyril of the letter of reconciliation with John of Antioch Laetentur Caeli, I suppose it is. Both of these fifth-century bishops are accepted as authoritative by the imperial church and are regarded as Fathers of the Church by modern Roman Catholic, Eastern Orthodoxy, and non-heretical Protestant churches. But their entire corpora are not entirely compatible, despite what Justinian tries in his reading of Cyril as a supporter of two-nature Christology. Moving forward a couple of centuries, what about Maximus the Confessor (d. 662)? Again, I am not sure that the Cyril of On the Unity of Christ and some of Maximus’s arguments about the operation of Christ’s two wills in the Garden of Gethsemane are perfectly compatible. Moving beyond christology, Augustine (d. 430), who is actually considered a saint by the eastern churches, teaches a dual procession of the Holy Spirit, that even Maximus agreed to in a way, although its offspring, the filioque in the creed, is a major point of division between the eastern and western churches. Yet here they stand, part of orthodox (note the lower-case O) tradition. 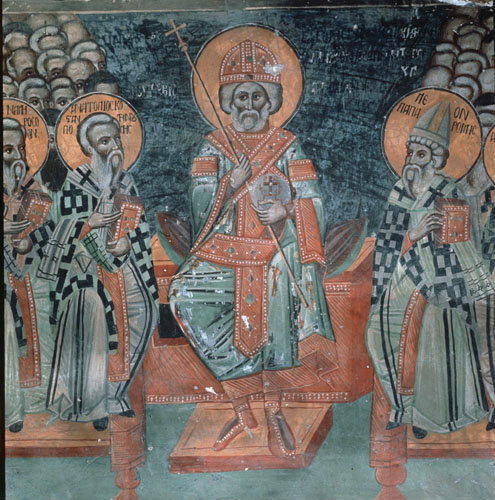 Gregory of Nyssa (d. 394) taught the Apocatastasis, the idea that all will be saved (patristic universalism). He is considered a Father in both East and West, although many reject this teaching. The ecumenically popular Isaac the Syrian (seventh century) also taught this. Western accounts of the Most Holy and Undivided Trinity tend to start with the doctrine of God and His unity; in the East, they tend to start with the persons and the threeness. This is a generalisation, but it does tend towards a different feel and different emphases in our presentations of dogma. Yet these presentations, whether by Augustine or Gregory of Nazianzus (d. 390), are all orthodox though they differ. Or consider the fact that our tradition includes alleged ‘Semi-Pelagians’ as saints (Faustus of Riez) alongside Augustinians like Prosper of Aquitaine. Theological orthodoxy is not monolithic. Many other very specific cases could be found, but these will do. It is worth keeping these realities in mind as we ponder the great richness of the tradition that has brought us to where we stand today. Related to Blogging Benedict: Punishment, today I read Ivo of Chartres (1040-1115), Ep. 186. In this letter, Ivo responds to a query from a monk named Laurence on questions of living with wicked (mali) people. The long and short of it, with testimonia from St Augustine and Pope Gregory VII (pope, 1073-1085), is that you must put up with them, by and large. Receiving communion alongside a person whom you know (or think) is a sinner is not entering into communion with their wickedness but into communion with Christ. It is God who will judge such people. Our job is to love them. If their sin is privately known, you cannot refuse communication with them. If, however, they are impenitent, public sinners, then they should fall under excommunication from the proper orders within the church. Not, that is, you. Your job is to love them. Or, if they are excommunicate, to avoid them. Remember the Augustinian line taken from the parable of the tares: If we try to pluck out the tares before the harvest, we may accidentally cut down some of wheat along with them. Also, you shouldn’t receive gifts from the excommunicate on the grounds that, well, they are excommunicate. The earth, says Ivo (Augustine), is the Lord’s and the fullness thereof. God doesn’t need their gifts. He wants their repentance. Placing this letter in the wider context of Ivo’s thought, we need to remember that he argues for the discipline of the church as being a remedy. The goal of excommunication, as with penance, is to heal the sinner and help him’er not sin anymore. The main point for us today is not to spend our lives sitting around in judgement of fellow churchgoers. It’s pretty easy sometimes. Perhaps you suspect someone of heresy. Or of drinking too much. Or of judgementalism due to being a teetotaller. Or of greediness. Or of any manner of personal/sinful deficiency. It is not our role to sit in judgement on them. The merciful God is who rich in mercy, abounding in compassion whilst also perfectly just and wholly loving will do that, is doing that. Our job is to love others. Mind you, I fear that the clergy may sometimes have to excommunicate, and I say that not just because Ivo does (for who is Ivo to me?) but because Ivo cites the apostles on the matter. Nonetheless, it is a grave thing and to be done with much prayer and for the goal of healing the broken Christian and the broken community, not in a spirit of vindictiveness and retribution. I am reading through Gratian’s Decretum (c. 1140), specifically the ‘Treatise on Laws’ (Distinctions 1-20), as translated by Augustine Thompson. Gratian’s Decretum is the book that becomes the standard textbook, reference work, and source for canon law from the High Middle Ages through the Renaissance, and was a main source until the 20th century. This is a work that should justifiably come under the heading ‘scholastic’. Using the scholastic method, shared with Peter Abelard (1079-1142) and Peter Lombard (1100-1160), Gratian discusses canon law and the discrepancies available in the sources for canonistic thought. Unlike Abelard, Gratian provides attempts to resolve the discrepancies; Abelard, controversially, left the sources of theology/philosophy unresolved in Sic et Non. At the bedrock of such an approach to canon law is determining what law is, what canon law is, and then what the authorities for canon law are. In Distinction Nine, Gratian begins to move from defining different kinds of law to a start on the hierarchy of authorities. At the pinnacle is Scripture. 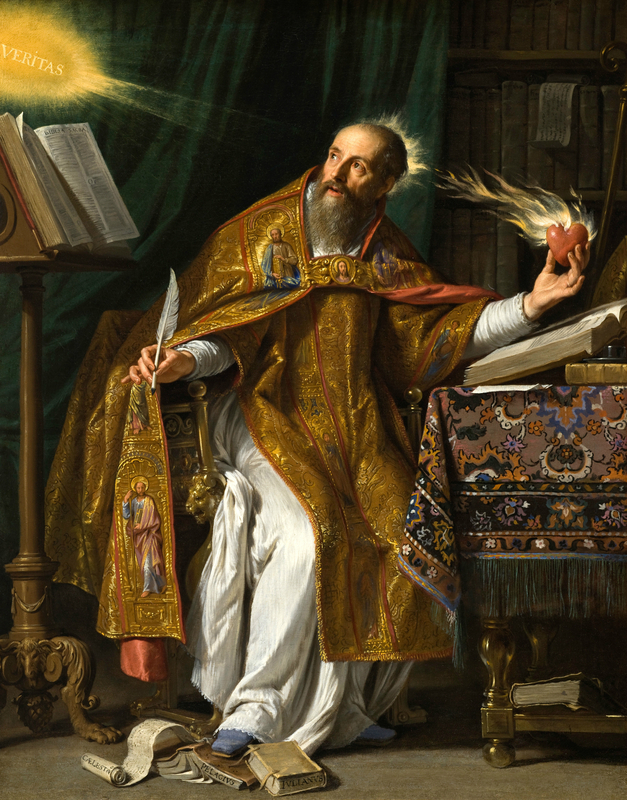 He has already established, through citations and discussions chiefly of Sts Isidore of Seville, Augustine of Hippo, and Gregory the Great, that we are bound by the ordinances/enactments of kings. But not, as Distinction Nine tells us, if they run counter to natural law, the best source of which is Scripture. This is a different sort of approach to the authority of Scripture than I think most of us have. 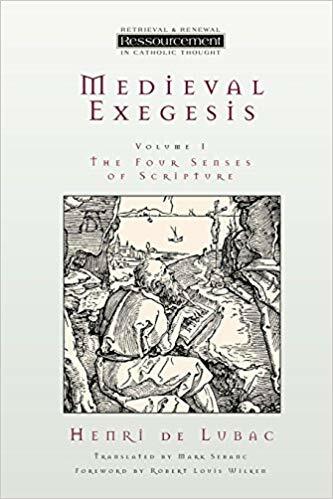 It must also be stressed that this is not necessarily the same thing as modern evangelical and fundamentalist (two different groups) and some Roman Catholic approaches to the authority of Scripture. Augustine is not, overall, a biblical literalist in the same way many moderns are. For example, his On Genesis According to the Letter does not necessarily mean that Augustine believed in a literal creation over 6 24-hour periods. His other writings are more than ready to seek the spiritual and allegorical. In fact, other patristic writers who would agree with Augustine’s statements here would also, conversely, argue that some things that a modern would argue as literal are, in fact, metaphors and allegories for spiritual edification. Nonetheless, this humility before the text of Scripture, as well as an implied hierarchy of sources of authority, is something all Christians could do with learning. To circle back to Gratian and the High Middle Ages, one of the benefits of this approach is that you can see a number of different ancient and patristic sources on a question and topic. It is, in a way, a sourcebook of patristic legal and canonistic thought — in fact, D. H. Williams even recommends this translation of the ‘Treatise on Laws’ to that end. Nonetheless, it is something else as well. When the authorities contradict, we also get Gratian’s dicta, his own attempt to reconcile the authorities, or to explain which is to be followed. Thus the medieval mind, at first blush ever ready to submit to authorities such as Isidore, Augustine, and Gregory, is also ever ready to deploy reason in the quest for understanding the world, our place in it, and how to live in what often seems a mixed-up place. The lives and teachings of God’s holy ones (‘saints’) serve as lessons, especially when the holy ones are prophets or apostles. Here, the last prophet of the Messiah (a prophet who, as St Augustine observes, was able not only to predict the Messiah but point at him with his own finger) provides us with an attitude that we, too, should adopt, not just in this Advent Season but all the time. It is, admittedly, a difficult attitude to keep. ‘He must increase’ — oh, how we wish to increase! We want to get it our way, at work, at study, in social engagements with friends, in dealing with family, even in determining the meals for the week or entertainment at evening. We wish to increase, to choose exactly which courses we teach, to divest ourselves of administrative duties, to read only the books that are interesting, to get a big paycheque, to gain renown in our own field of work. But he — He — must increase. And when we consider His ethical teachings, as in the Sermon on the Mount, He (and thus His increase) is found in the good and progress of others. He is found in sharing the burdens of others. He is not found in getting my way. Indeed, getting my way is likely to get in His way. And, like St John the Forerunner, we should point the way to the One ‘the strap of whose sandal [we are] not worthy to untie’. As I posted here in an Advent not long ago, ‘Prepare Ye the Way of the Lord’. Christ is still in the midst of us risen and ascended and reigning, the Second Person of the Trinity. Jesus Christ came to seek and save the lost. 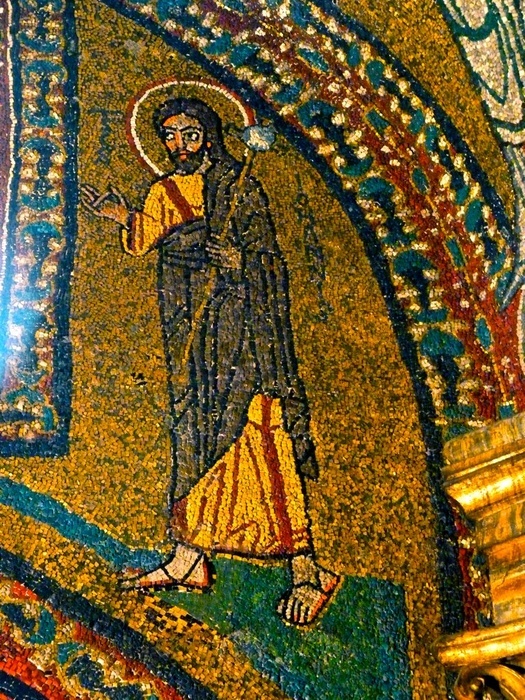 John the Baptist points the Pharisees to Him. Whom are we pointing to Him today? Throughout Proslogion 1, St Anselm is setting the groundwork for how we are to approach the unapproachable light, to contemplate the invisible, transcendant God. How can we, sinful humans with clouded sight, draw near to God and see Him? Then comes this paragraph. Thus the context for the famous dictum. I have not checked the contexts of all of these, but the last is pretty clear — trying to understand the Most Holy Trinity. William’s context is also the apprehension of God. He is discussing contemplation and the feeble attempts of his own mind in seeking the face of God — how dark it seems, how far he feels from God, how much like a beginner at all times, how difficult the ascent, how quickly any illumination seems to fade away. How like the experience of us all. Reason is all well and good. But how can we attain to understanding of the Divine Person(s) with our frail, human reason — itself clouded by sins and weaknesses and mistakes? Credo ut intelligam is not a rejection of reason. It is not an abandonment of all rational attempts to consider the Triune God. It is, rather, an admission that rational intellect alone cannot attain to the understanding of Someone Who is simultaneously beyond all of this and nearer to us than our own breath — the Creator of quarks and quasars and the cosmos, the One Who Is Three but One (William in particular admits to his difficulties with properly thinking about the Trinity), the God Who became a Man. How could understanding God ever precede believing in Him? Indeed, what these three men — mystics and theologians, all — demonstrate to us is that, even once we believe, still do we struggle to understand. Let us be of good cheer, then, as we trust in our God Who loves us and made us and remakes us.